WE SIGNED WHO? 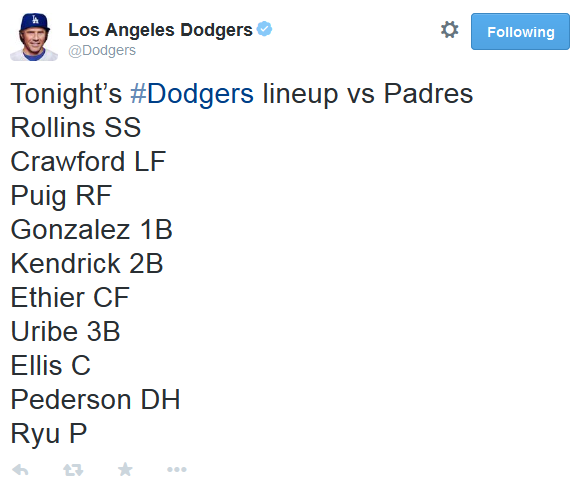 : The Dodgers play their first night game of the spring tonight against the San Diego Padres in Peoria. 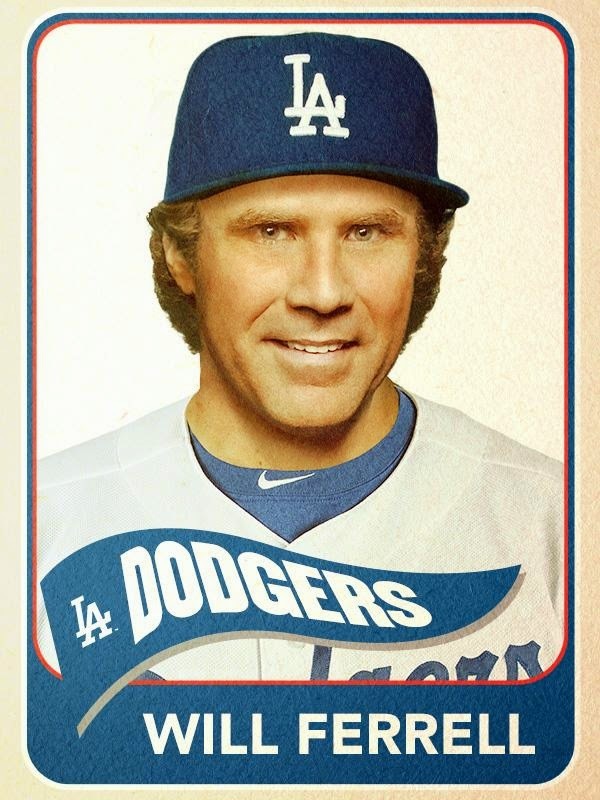 The game was originally scheduled to take place at 1:05 p.m., but was moved to 6:15 to accommodate the newest Dodger, Will Ferrell. The Dodgers lost for just the second time in Cactus League action yesterday, falling to the Cubs, 4-3. Los Angeles and San Diego will also meet on March 25 in Glendale, before the main event, Opening Day, April 6, at Dodger Stadium, which is just 25 days away. ACTUALLY A PRETTY NICE LITTLE THURSDAY, WE’RE GOING TO GO TO HOME DEPOT…MAYBE BED, BATH & BEYOND, I DON’T KNOW, I DON’T KNOW IF WE’LL HAVE ENOUGH TIME: All afternoon and later this evening, actor and comedian Will Ferrell will be suiting up for 10 MLB Cactus League teams – including the Dodgers – to benefit cancer charities. Ferrell is honoring the 50th anniversary of Bert Campaneris playing all nine positions in one game, in 1965, and will play all nine positions (and DH) during the course of the day in the following Cactus League games: Mariners at Athletics, noon; Cubs at Angels, 1:10 p.m.; Reds at D-backs, 2:10 p.m.; Giants at White Sox, 4:05 p.m.; Dodgers at Padres, 6:15 p.m. Ferrell’s efforts are part of a special for HBO airing later this year in collaboration with MLB Media and the production team at Funny Or Die. HBO is donating proceeds to Cancer for College, and MLB is raising additional money for that cause in addition to Stand Up To Cancer through the auction of game-used, autographed gear and equipment featured throughout this one-of-a-kind project. Ferrell will be pitching for the Dodgers, playing the outfield for the Padres and umpiring during tonight’s contest, which will air on SportsNet LA and MLB Network. 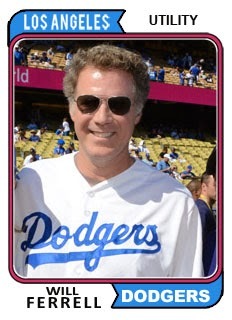 Will Ferrell will pitch for the #Dodgers no earlier than the bottom of the sixth inning tonight. 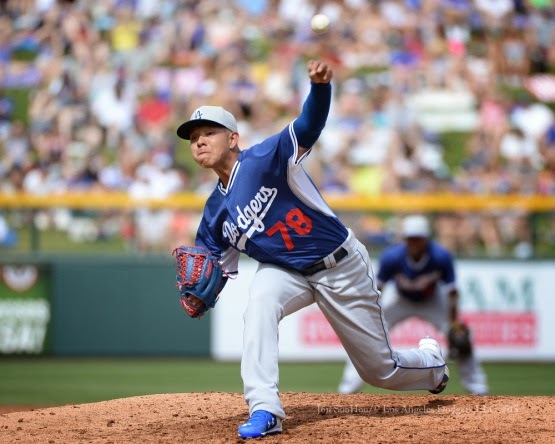 LOOK RYU’S BACK: The Dodgers welcomed starter Zack Greinke back to the fold yesterday and he tossed 2.0 innings and allowed two runs against the Cubs in Mesa. Tonight, the club will see Hyun-Jin Ryu take the mound for the first time this spring after dealing with back tightness the first couple weeks. Following Greinke to the mound yesterday and tossing scoreless baseball were David Huff (1.2 IP), Zach Lee (2.0) and Chris Reed (1.0). 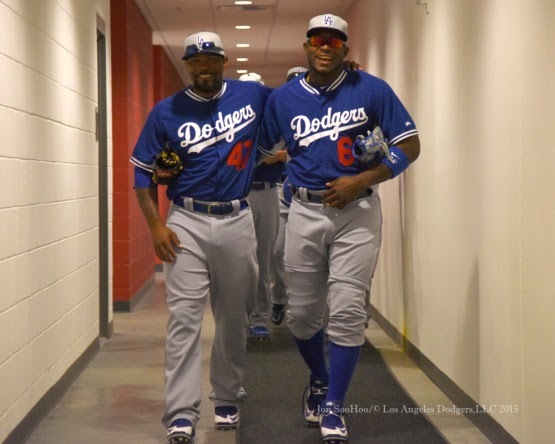 At the plate, Justin Turner singled and doubled, raising his average to .308 this spring while Howie Kendrick’s two hits lifted his average to .333. Scott Schebler had one plate appearance and walked, giving him a .429/.467/.857 slash line in seven Cactus League games. 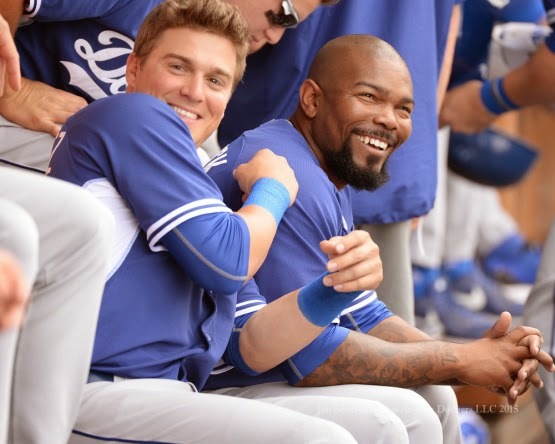 The Dodgers have committed just three errors through their first nine Cactus League contests. Los Angeles pitchers have combined to post a 3.49 ERA and limit opposing hitters to a .213 batting average this spring, striking out 62 and walking just 20 in 80.0 innings. ON THE MOUND: 28-year-old left-hander Hyun-Jin Ryu will make his first start of the spring tonight. Ryu enters his third Major League season after seven All-Star seasons in the Korea Baseball Organization. He has a 28-15 record and a 3.17 ERA in 56 career regular-season starts and has gone 1-0 with a 2.81 ERA (5 ER/16.0 IP) in three postseason starts. Ryu’s 28 regular-season victories tie for the third-most by a Korean-born pitcher. LHP Adam Liberatore is expected to make his third appearance of the spring tonight after tossing a scoreless inning in the Dodgers’ 4-3 win over the Brewers last Sunday. During the course of his career, the hard-throwing lefty has limited opponents to a .242 batting average with nearly a strikeout per inning (309 SO/318.0 IP). LHP Ryan Buchter will make his third appearance of the spring tonight after giving up one run and striking out the side in an inning of relief in Sunday’s win against the Brewers. Buchter saw his first MLB action with one relief appearance for Atlanta last year and has gone 32-18 with a 3.44 ERA in 327 games (two starts) in nine minor league season in the Nationals (2006-2008), Cubs (2009-2011), and Braves (2011-2014) organizations. RHP Mike Bolsinger is also expected to see action tonight after giving up one run on two hits in two innings of work on Saturday. The 27-year-old saw his first big league action with the D-backs last season, striking out nearly three times as many as he walked with 48 strikeouts and only 17 walks in 10 games (nine starts). Veteran RHP Chad Gaudin is expected to appear in tonight’s game, after pitching two scoreless innings of relief in his first action of the spring on Saturday. Gaudin last pitched during the 2013 season for San Francisco, going 5-2 with a 3.06 ERA in 30 games (12 starts). RHP Sergio Santos will make his third appearance of the spring tonight after tossing a scoreless inning of relief in Sunday’s 4-3 win over the Brewers. The Los Angeles native has gone 7-12 with 39 saves and a 3.89 ERA in 180 games in five Major League seasons with the White Sox (2010-11) and Blue Jays (2012-14). RHP Josh Ravin will also make his third appearance of the spring tonight after striking out two in an inning of relief last Sunday against the Brewers. The West Hills native enters his second season in the Dodger organization and 10th professional campaign. AN OLD FRIEND RETURNS: This weekend, former assistant to Tommy Lasorda, Colin Gunderson, returns to Camelback and will sign copies of his new book, Tommy Lasorda: My Way, along with the Hall of Fame skipper himself. There will be two signings in the center-field pavilion at Camelback Ranch: from 6-8 p.m. tomorrow night and from noon-2 p.m. on Saturday.